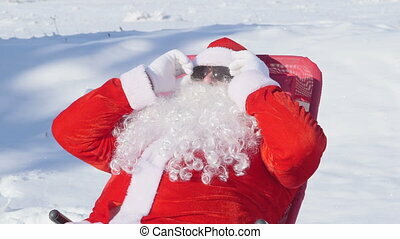 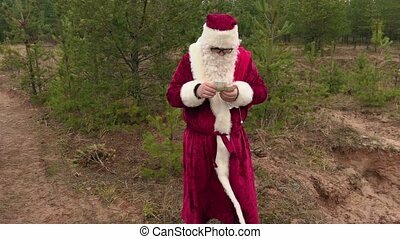 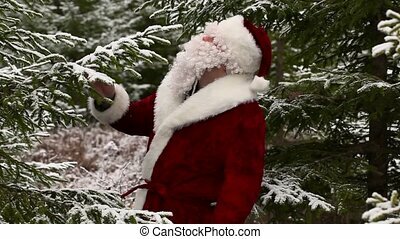 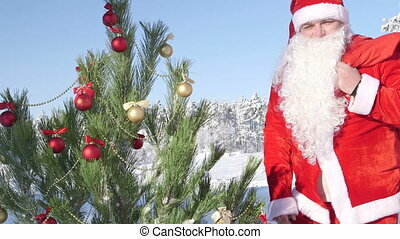 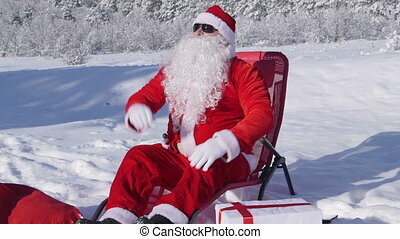 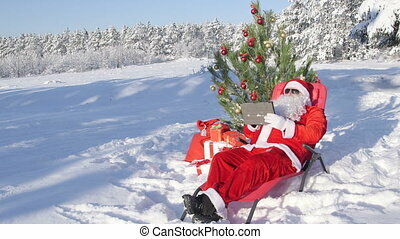 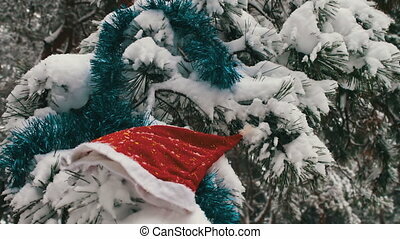 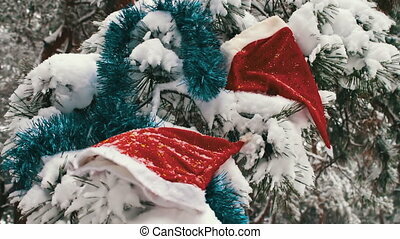 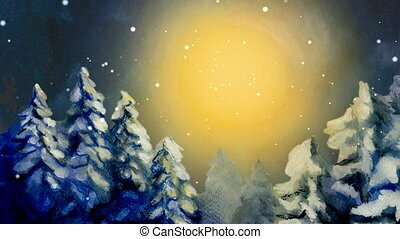 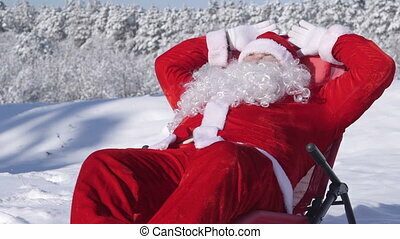 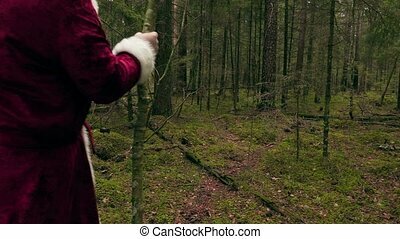 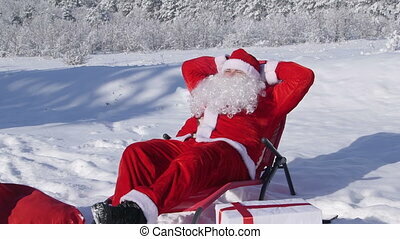 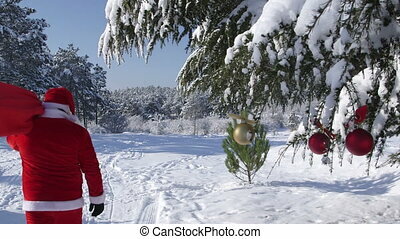 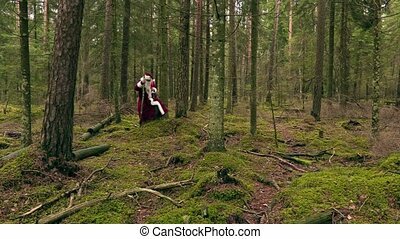 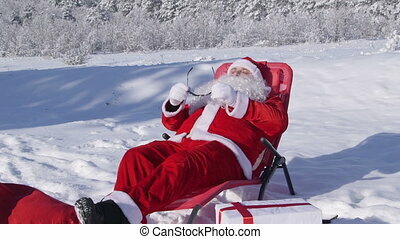 Santa claus relaxing in snow covered winter forest. 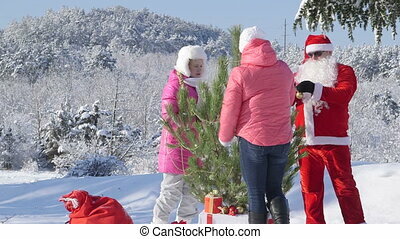 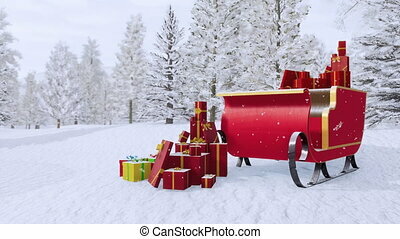 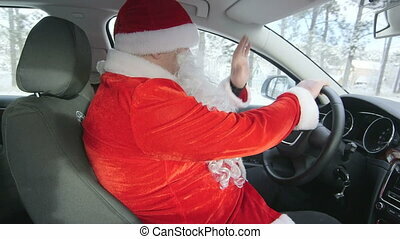 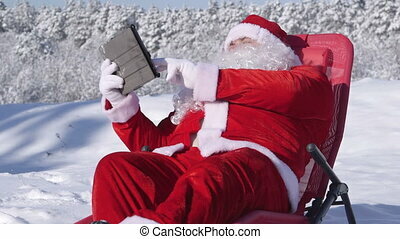 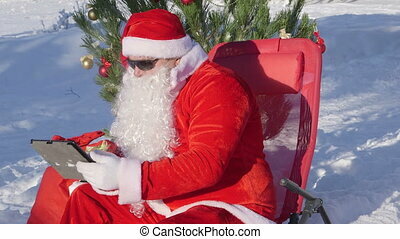 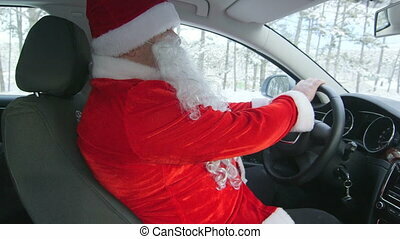 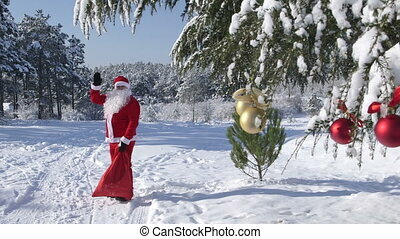 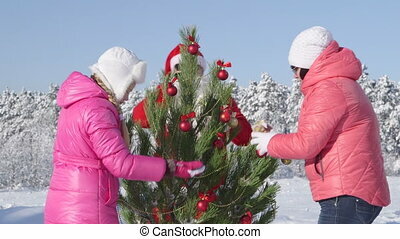 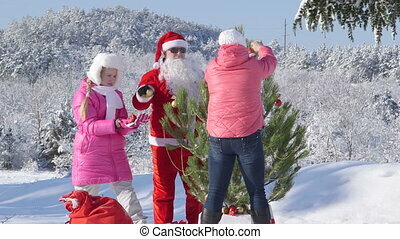 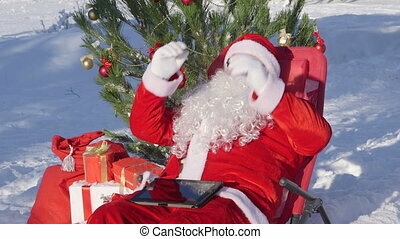 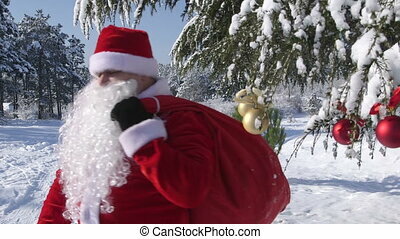 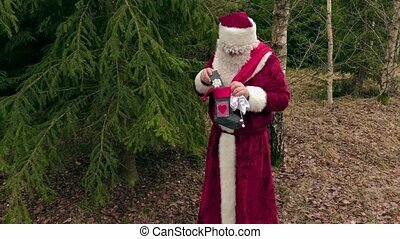 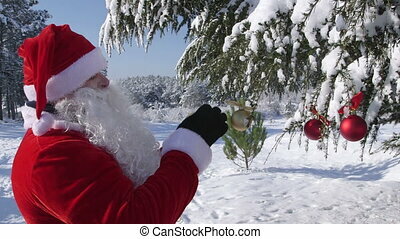 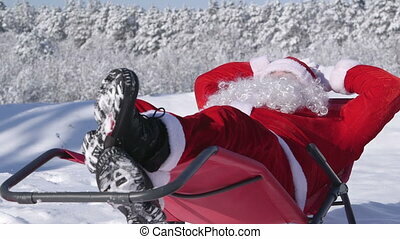 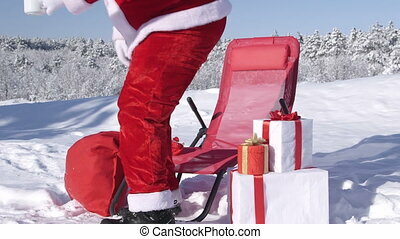 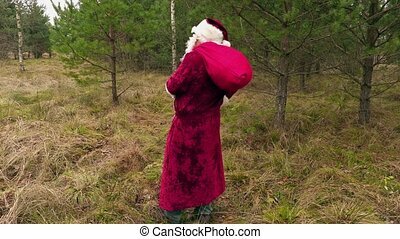 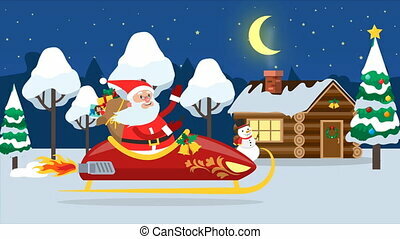 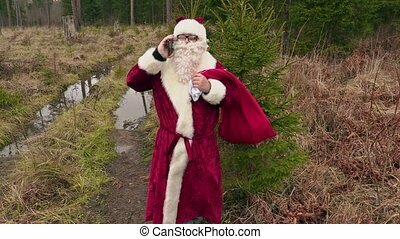 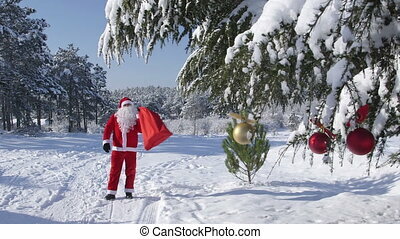 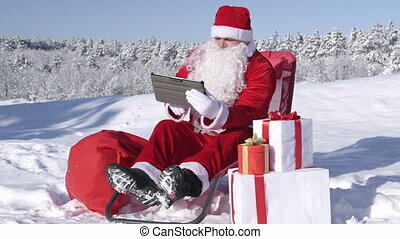 Happy Santa Claus in sledge flying across winter forest with bag full of gifts and waving hand. 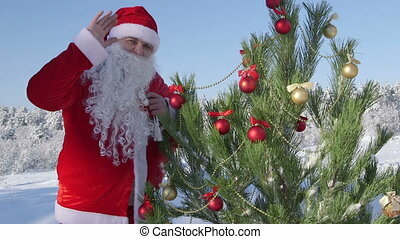 New Year and Christmas greeting. 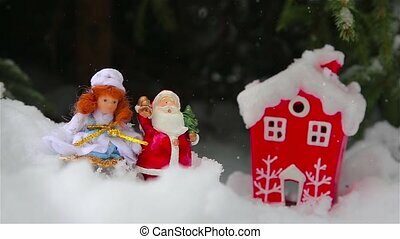 Cute christmas loop gif animation 4K. 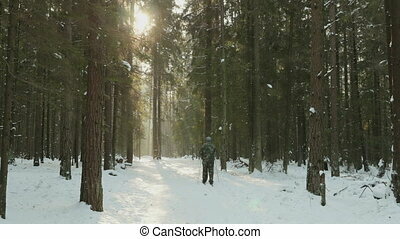 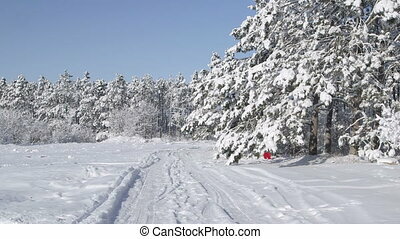 Man skiing in the winter forest.